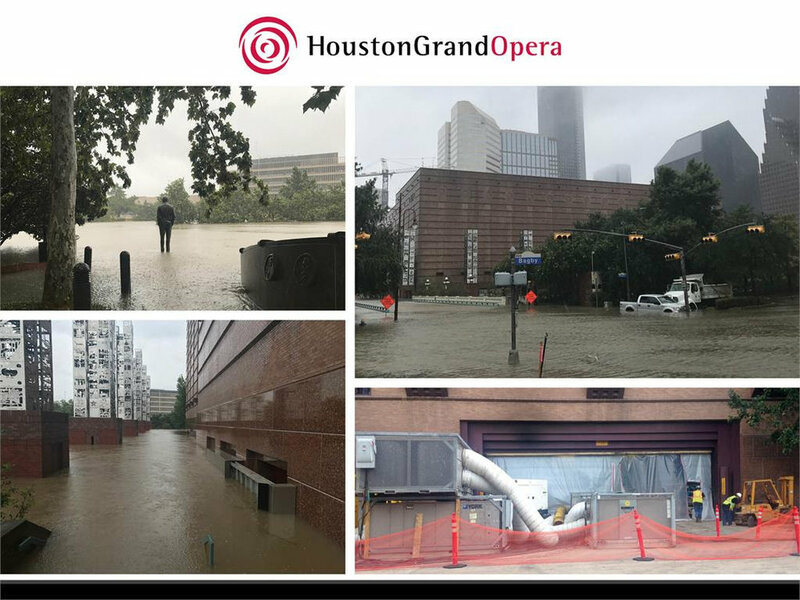 Today, the Houston Grand Opera announced plans to resume its 2017/18 season at the George R. Brown Convention Center, while its home base the Wortham Center is undergoing extensive repairs for flood damage. In a heartfelt e-mail to the patrons, Perryn Leech of the Houston Grand Opera writes, "As you’ve read in our regular updates, the severity of the flood damage was much worse than originally thought. HGO has suffered millions of dollars in losses, and Harvey has left in its wake a severe financial blow to our company. We will be out of the Wortham until at least May 2018 and now face the challenge of building a theater from scratch in Hall A3 at the George R. Brown Convention Center." "Despite the setbacks we’re facing, I have never looked forward to a season more than this one. Events like Harvey are why we exist—to support the cultural needs of our community with soul-stirring, life-affirming opera. We are part of Houston’s recovery, and we are proud to be there for our loyal Patrons." The company has set up the HGO Harvey Fund to replace supplies and equipment damaged in the Wortham by the floodwaters, rent interim rehearsal space and temporary offices for HGO staff.